SCAPA: an exclusive boutique in Via Vittoria, Rome, since 1989. 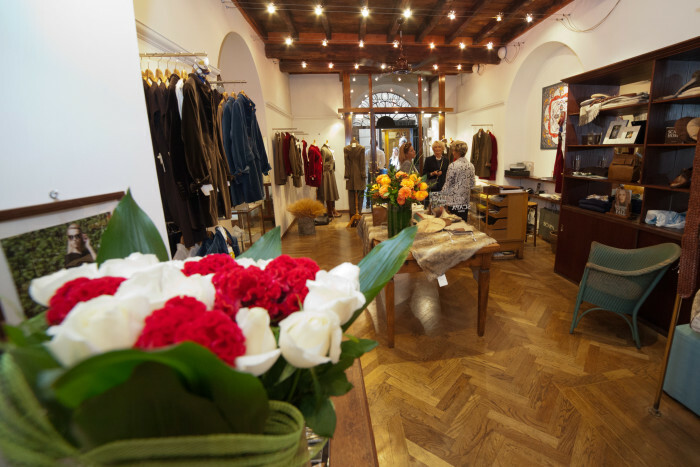 A mere few steps from Piazza di Spagna, in the heart of the Capital, our boutique has the warm and stylish atmosphere of a British mansion, renovated according to a contemporary design standards. The variety of our clothing designs, both casual and smart, and our careful selection of the most exciting new styles, make Scapa Roma a true Roman fashion landmark, for Italian and international aficionados of this historical Scottish brand, from the Orkney Islands. It’s all in the name: ‘scapa’ from the Viking for ‘shelter’. The Scapa collection has been an highly-sought after brand for 50 years, known for its impeccable mix of formal and informal qualities, and its comfortable but smart, timeless designs. Our staple is the redingote: clean cut, versatile and ever-so fashionable. Above all, we about selecting the best authentic fabrics for our designs, such as Harris tweed, cachemire, Shetland and velvet for winter, linen, cotton and silk for summer. The colours of our collections are inspired by nature: the greys and blues of the sea, the warm undertones of the woods, the earthy browns of the Scottish land – our unique palette makes Scapa a truly special and distinctive brand in the fashion world.